Are you liking these mystery box giveaways? 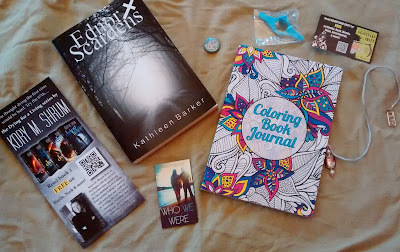 Here is what Nicole received in the February Mystery Box. 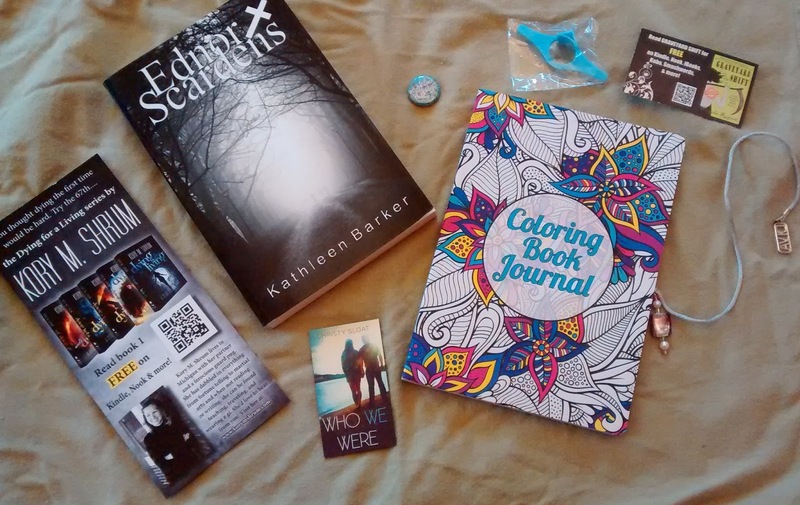 Thank you, Kathleen Barker, for sponsoring the February giveaway. Haven't won a box yet? Here's your chance to win March's Mystery Box. If you are an author or publisher who would like to sponsor a future mystery box by providing a book, swag or other promotional materials, please email Donna(at)girl-who-reads.com.